This project was created for a recent BlenderArtists.org challenge. 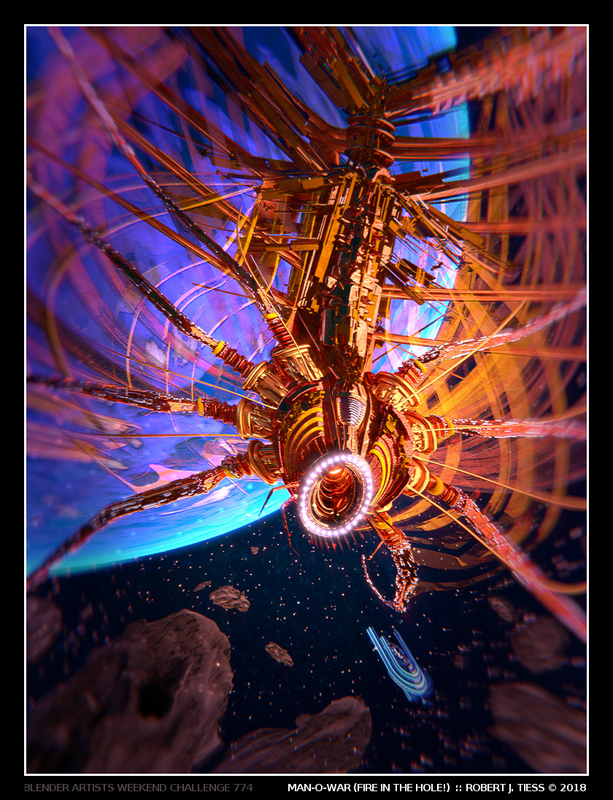 The inspiration here came from a combination of several concepts: the "Man-O-War" class of ships, organic aspects of the so-called Portuguese "Man of War," and solar sailing. The project was created, rendered, and finalized entirely within Blender 2.79 - Cycles render, with only procedural textures.